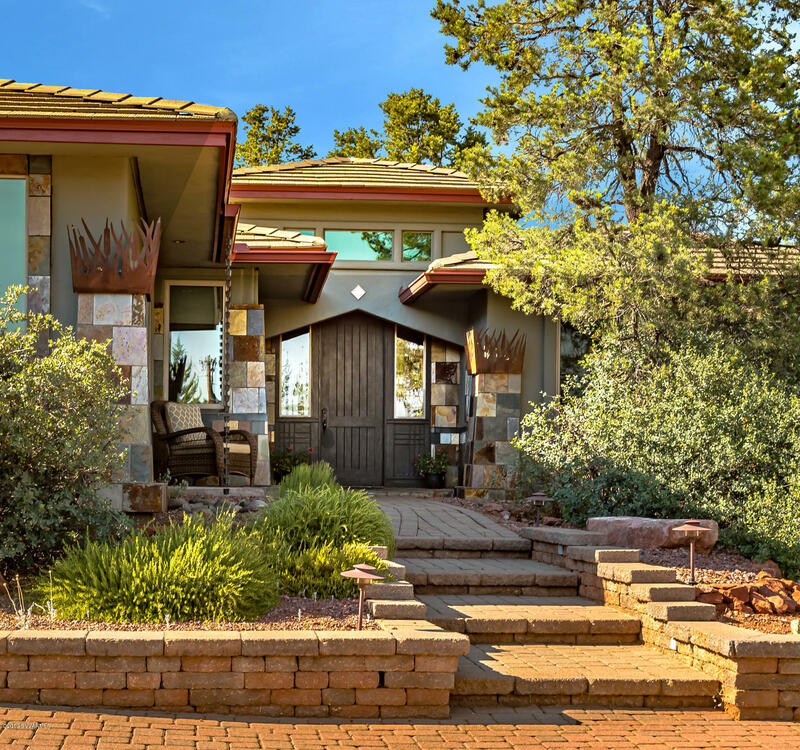 Beautiful Craftsman Style Home AKA The BLUE HERON Home is tucked away on 1.3 acres of natural-scaped land, affording privacy yet right in West Sedona! Enter the property on the impeccably created pavered circular driveway, to the home boasting 4 bedrooms & 3 full baths, including 2 Master Suites. The 4th bdrm can also be a family room or Art Studio, w/wet bar & private entrance. The main Master has a huge walk-in closet, w/custom built-ins, whirlpool tub & separate shower, dble sinks & vanity, w/a built in dresser The 2nd Mstr is en-suite, w/lg walk-in closet w/built-ins & plenty of light w/Private Patio. All 3 bathrooms are impeccably designed for beauty & comfort. Featured in Sedona Homes & Gardens, this home has very special touches, that align with the earth, wind, sky and water.